Acura of Limerick, your trusted Acura car dealership, is here to serve drivers of our community with our selection of new Acura cars and the friendliest staff in town. Whenever we have a particularly intriguing model on our lot, we make it a point to share it with drivers, and our dealers would love to tell you all about the 2017 Acura ILX. You’ll quickly see why this impressive sedan is not to be missed! The 2017 Acura ILX is an immaculately designed sedan that offers abundant performance and efficiency. This is thanks to its featured 2.4-liter four-cylinder engine that gets 201 horsepower when paired with the eight-speed automatic transmission with torque converter and Sequential SportShift paddle shifters. Driving this elegant vehicle is made extra enjoyable when you consider the money-saving fuel efficiency that you’re getting. Not to mention that you’ll be looking remarkably stylish all the while thanks to the terrific outer-body design that exudes class and quality. Driving an Acura vehicle means having the best safety and special features. We’ve already seen what the 2017 Acura ILX can do on a performance and efficiency front, but what does the rest of the package look like? 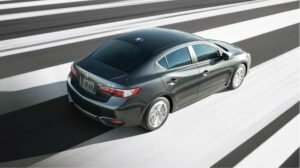 The 2017 Acura ILX has the utmost safety standards to keep you and your passengers safe: available features include ABS and driveline traction control, blind-spot sensor, rear back-up camera, and more. Of course, it wouldn’t be right if we didn’t mention some of the great entertainment and comfort amenities that the 2017 Acura ILX has to offer. You’re going to love singing along to your favorite tunes with the available 10-speaker premium audio system with iPod integration and the Siri Eyes Free® technology lets you safely control and interact with your phone. This is just a sample of what awaits you, so come join us for a test drive! Acura of Limerick invites you to join us at our dealership, located at 77 Autopark Blvd., to test drive the fabulous 2017 Acura ILX today! Our staff will take excellent care of you and we’ll work hard to exceed your expectations. We hope to drive with you soon!